By “designed and assembled in USA" this is what we mean: the vast majority of the total production cost of Valhalla 2—chassis, boards, transformers, assembly, etc—goes to US companies manufacturing in the US. Our chassis are made minutes from our facility. Our PCBs are done just over the hill from us, or done in NorCal. Our transformers are also made in California. You get the picture. Valhalla 2 is covered by a limited warranty that covers parts and labor for five years. That’s 5 years. Yes. FIVE. Which is up to 5X that of our competition, if you weren’t so hot at math. Note the marketing weasel-wording “up to.” One exception: the tubes. Those we cover for 3 months. Try Valhalla in your own house for 15 days. If you don’t like it, simply send it back for a refund, minus a 5% transaction fee. Try spending 15 days in an audio store. They’ll kick you out. Unless you buy them donuts. Maybe. Wait, wait, wait. Grados? IEMs? ORTHOS? With a tube OTL amp? Are you nuts? No, not completely. With the low output impedance and higher current capability of Valhalla 2, you might be surprised what headphones you can run with it. Now, that isn’t to say that it’s going to be able to drive HE-400s or LCD-Xs with the authority of, well, anything else we make. But it won’t fall on its face and lay there twitching like Valhalla did. Did Valhalla just lay there twitching? Actually, no, it never twitched. But all of our amps just lay there. But some of them glow. And that’s pretty cool. Okay, enough silliness. 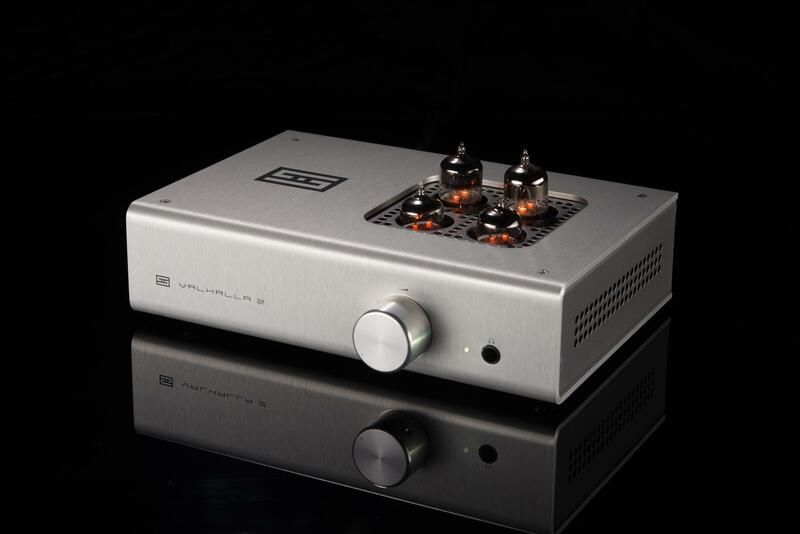 What makes Valhalla 2 different than most tube amps? We infuse each of the electrons in Valhalla with special powertrode ions, which gives the output super-strength. Each milli-amp of current in Valhalla is actually worth many amps of current in other amps. I thought I said enough silliness! You did. But we weren’t done yet. Are you done now? 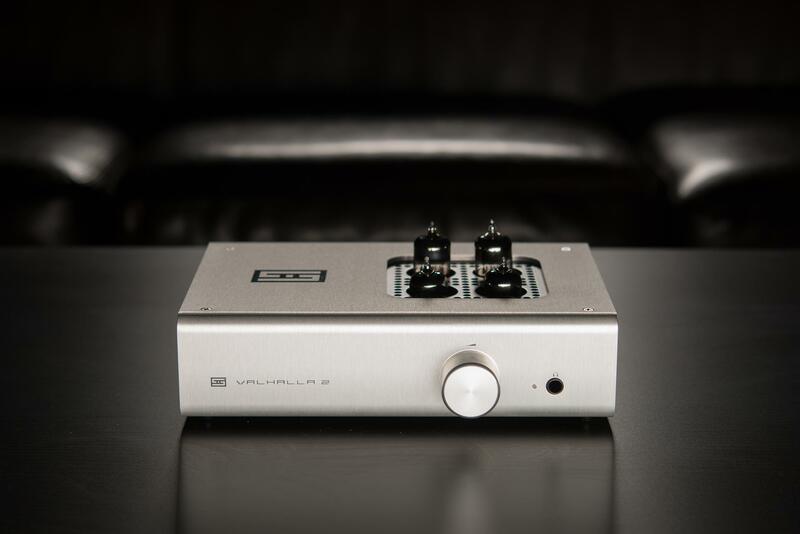 Want to give us a real answer about how you made Valhalla 2 the “super OTL” amp? Okay, fine, we’ll take our pills. Ahem. There’s really no magic. We just spent a long time optimizing both the input and output topology to maximize current delivery, and to reduce output impedance. This entailed quite a few tweaks to the common-cathode front end, adding a new negative voltage rail and current source to up the overall gain, and also changes to the White cathode follower output. Hey, you’re making that up, too! No, actually, we aren’t. To really understand our serious answers, you’ll need to learn engineerese, I’m afraid. In simpler numbers: 2-8x lower output impedance, 8x lower distortion, 2x more current delivery, and lower noise. In simpler terms: while Valhalla was marginal-to-bad with IEMs and low-impedance headphones, Valhalla 2 is much more versatile. It’s not the be-all and end-all, but it’s now a much more well-rounded amp. What headphones are Valhalla really good for? 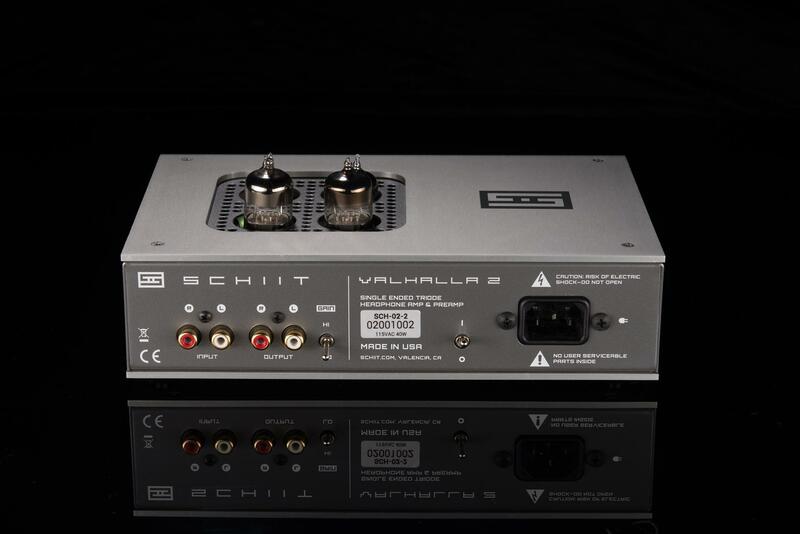 Valhalla is still going to be at its best with high-impedance headphones like the 300 ohm Sennheisers and 250-600 ohm Beyers. With up to 60V p-p output capability, it can absolutely light up 300 and 600 ohm headphones—delivering almost a full watt into 300 ohms (!) However, it's now also perfectly capable with a wide variety of low-impedance dynamic designs, and has enough power for some high-efficiency planars. Does the volume control adjust the preamp outputs? Can I turn off the headphone outs when I’m using the preamp outputs? 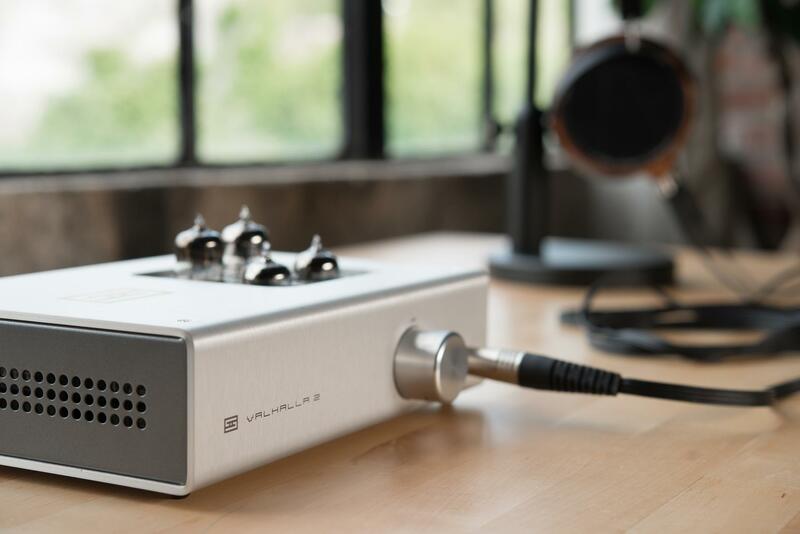 The preamp outputs are automatically turned off when you plug in your headphones. Unplug your headphones to use the pre outs. How do I switch the gain? There’s a toggle switch on the back of the amp. Yes! The standard 6N1P input tubes can be subbed out for any 6DJ8/6922/ECC88/ECC85/6BZ7 types, including NOS, cryo-treated, voodoo-blessed, hand-assembled by elves, etc. Does this have a muting relay, like all your other amps? No. 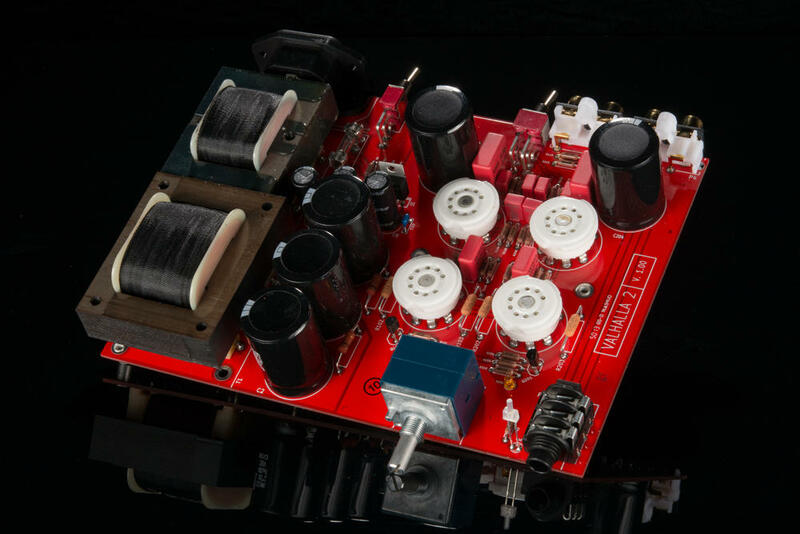 The slow turn-on and turn-off characteristics of tubes and limited current capability means there's no muting relay—which is the same for pretty much every tube OTL headphone amp out there. While there is DC on the output at turn-on and turn-off, it is on the order of 100mV into 32-ohm headphones. If you are concerned about this, unplug your headphones before turning the amp off, and wait 30 seconds or so after you turn Valhalla 2 on to plug in. I was told that tube amps are all about euphonic distortion and that you’re a bunch of crazy money-grubbing arseholes because you make tube amps. Have you ever heard a tube amp? We are serious. Have you ever heard a tube amp? Okay, we see where this is going. Bottom line, we make both highly-capable, completely-neutral-by-the-measurements, inexpensive solid state amps, and wacky tube and tube hybrid amps. Why? Because some people like solid state, and some people like tubes. You know, like some people like Camrys and some like Corvettes. Like some people like Budweiser, and some people like Bordeaux. Amazing thing, the world, full of so many different experiences and so many different opinions of them. Is one right, and another wrong? If so, who is the arbiter? Bottom line, if you don’t agree with our approach, there are tons of other options out there. Have fun, and we hope you find one that fits your desires perfectly.